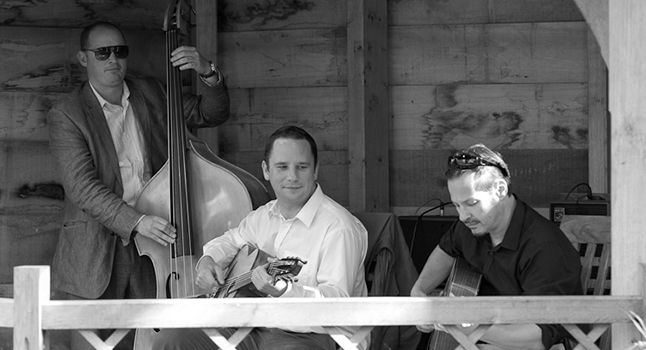 Gypsy jazz specialist Jonny Hepbir teams up with double bass and guitar to for his classic gypsy swing trio, emulating the great Django Reinhardt to create that Parisian atmosphere. 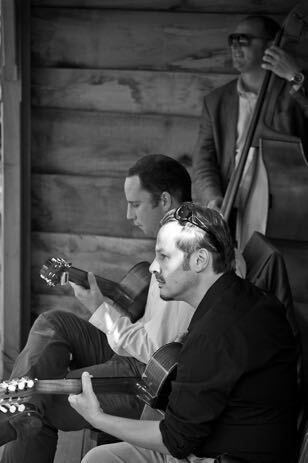 The Jonny Hepbir trio features the bare bones of the gypsy jazz sound – two guitars and a double bass. They play many Django classics and standards from the swing era. This jazz trio has countless weddings, parties, corporate jobs and jazz club gigs under their collective belt. The group fits into a small space and takes under 10 minutes to set up and pack down, and can travel in one car. The list of happy clients includes many big corporate entities and hundreds of wedding couples all around the country. Last year they clocked up an impressive number of weddings between Sark and Derby, Wales and Essex.